Lodge Antique Style Canoe Finish Resin Table Lamp 32.5''H. 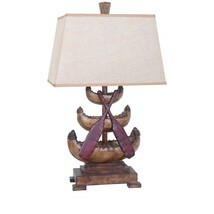 Home » marciatreasures' booth » Lodge Antique Style Canoe Finish Resin Table Lamp 32.5''H. $205.00 This item is selling for $205.00 on eBay.